In this week’s tip, we are continuing our series on the Arduino Dock2 as a co-processor for the Omega2. This time, we’ll have the microcontroller reading a potentiometer and the Omega using that reading to drive a servo to the corresponding angle! What’s extra cool about this tip is that we’ll be using MQTT to make the servo respond in almost real-time! The microcontroller will be setup to constantly send data to the Omega via the serial UART. The Omega will be setup to automatically publish all incoming serial data to an MQTT topic. This allows us to write programs that use data coming from the microcontroller in real-time to do other interesting things. In our example, we use the potentiometer to directly control a servo on the Omega, but there’s a whole bunch of interesting things you can do with potentiometer readings in your projects! A high-level overview: the microcontroller will read the potentiometer input and convert it to an angle for a servo (0-179 degrees), transmit the reading to the Omega via the UART. The Omega will immediately publish the message to an MQTT topic. There will be a Python script running that will subscribe to the MQTT topic and instruct the servo to move to the angle defined in the message from the topic. 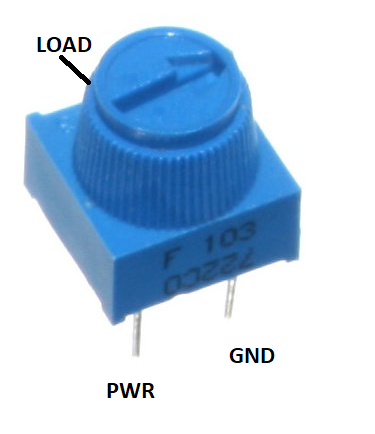 We’ll be connecting the potentiometer (10K Trimpot) to an analog pin on the Arduino Dock 2, and we’ll reference it to VCC (5V) and GND so we can make sure the data is accurate. Let’s wire everything up! Important note! The barrel jack tabs on the PWM Expansion can make contact with the metal shielding of the Omega2 and Omega2+ when used with Arduino Dock2 creating a short circuit. We recommend inserting a thin plastic layer between the top of the Omega and the bottom of the PWM Expansion to avoid this contact. The contact may damage your devices! It’s pretty straightforward, isn’t it? We have a function that reads the potentiometer voltage, maps the reading to an angle between 0 and 179 degrees, and sends this to the Omega through the UART. 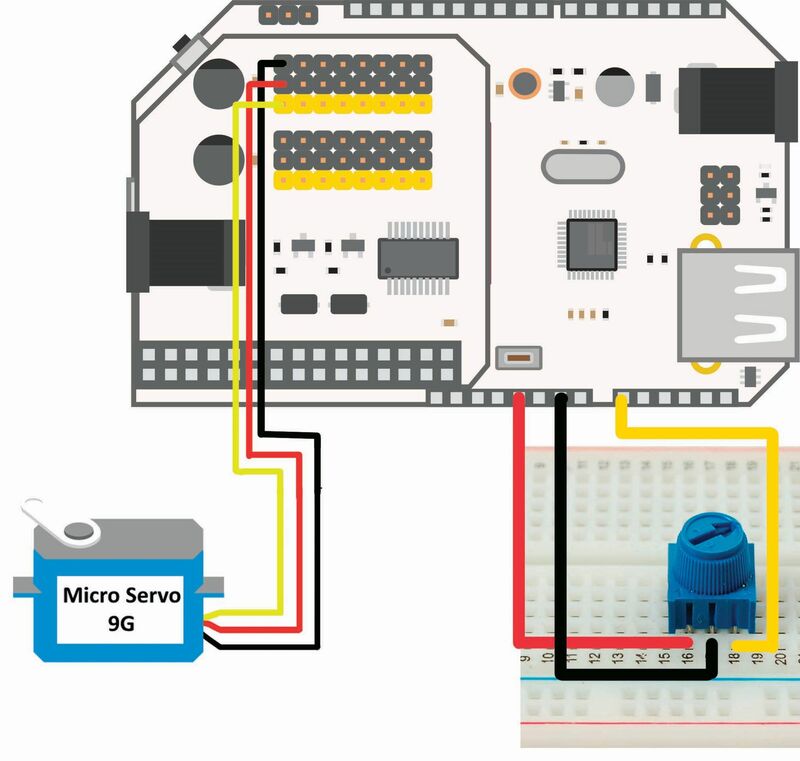 The next step is to flash this sketch to the Arduino Dock 2; please refer to our guide on how to flash the Arduino Dock wirelessly. Since we installed mosquitto, the Omega is running an MQTT server. Using the local MQTT server, we can use a pub-sub model (publish and subscribe) to create applications that involve several components and moving parts. Let’s get a closer look at the code. We are instantiating objects for the MQTT server and the Servo Motor. on_message – will execute whenever a message is published on a topic to which we are subscribed. on_disconnect – will execute when the program disconnects from the MQTT server. Where servoControl is the name of the topic to which we will be publishing. You may notice this command will run in the background, this is because we added an & at the end. Now it’s your turn to use this and make some creative projects that will benefit your daily routine!